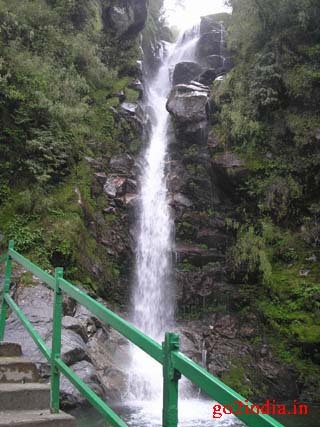 Located at a height of 12400 ft, at a distance of 38 Km from Gangtok Tsongmo lake is 1 Km long. It takes 2 to 3 hours by road to reach this oval shape lake. Depth of Tsomgo lake is 15 meters. During winter seasons this Tsomgo lake remains frozen providing tourists lot of fun. Changu Lake is open for both Indian and foreign tourist but permission is to be taken from local officials. 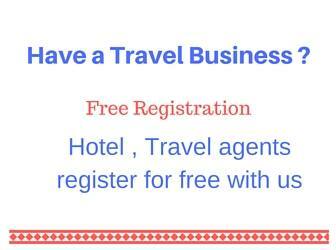 Travel agents usually arrange the permit and are issued on the same day of the journey. Please keep two passpoert size photos of each adult member of the family and identity proof of the members. 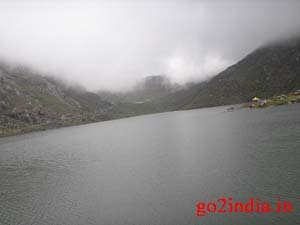 The road to this lake is maintained by a unit of Indian army. Total road passes through hills with sharp bends and bridges. This area is an ideal habitat of red panda and Yaks. Near the lake tourist can go for a Yak rid around the lake. In the peak summer seasons one can find snow in the hill surrounding the lake. There are many shops by the side of the lake selling noodles and other food items. Woolen dress and local handicrafts are also available. On the way to this Lake there are many waterfalls but the biggest one is Kyanglosla falls. Here also in chilling cold one can get coffee or tea sold by local venders. Beyond Tsomgo lake at a height of 13,500 ft this memorial is built in the memory of Harbhajan Singh, a sepoy in the 23rd Punjab Regiment. Nathula Pass is opened for trade between India and China in recent years. As a part of traditional silk route of border trade this became very popular tourist destination. Permission to Nathula Pass is not given on Monday and Tuesday. However Tangu lake remains open. June to November is the busiest season for Nathula pass as more trading is done. Basamati rice goes to China and from China Jackets , flask , shoes comes to India. Now tourists can carry cameras and phones and other gadgets up to border at Nathula pass. Located at a distance from 56 KMs is situated at an altitude of 14,450 feet at the border of India and China is famous for various alpine flora and fauna.